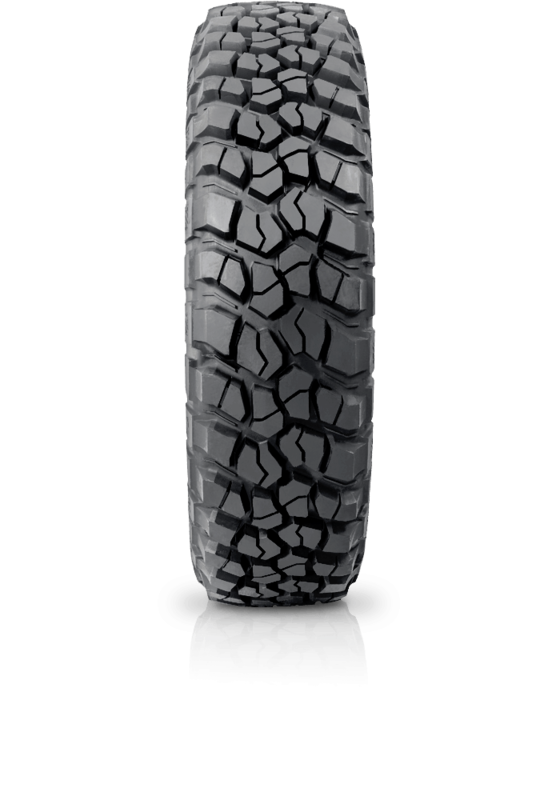 BFGoodrich Mud-Terrain T/A KM2 has a Krawler inspired tread pattern that lets you go way out of bounds. BFGoodrich Mud-Terrain T/A KM2 has a Krawler inspired tread pattern that lets you go way out of bounds. When you see the Krawler inspired tread pattern, you can tell the Mud-Terrain T/A KM2 isn't merely an update of the previous model. It's a whole new animal. Designed for serious off-road performance, Krawler-TEK technology uses three key sidewall enhancements, including a brand new rubber compound that resists punctures and bruising. So it can take on even the most torturous conditions.